Born from the ashes of sculptures past, I created this piece for Burning Man 2014. 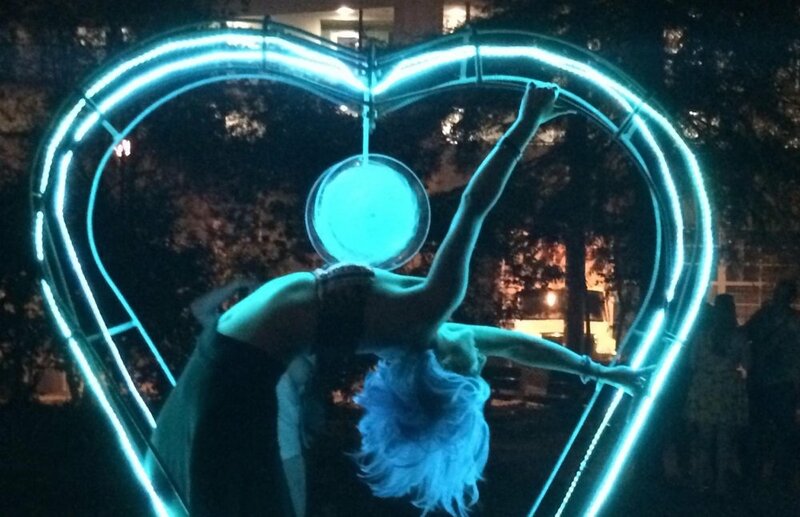 This 7’ tall heart is constructed with a rebar cage that is open on both sides. Inside at the point of the heart is a 12” glass pendant that spins on a bearing. The rebar structure sits on a steel base made from repurposed pieces of Flux Foundation's “Zoa” project from 2012. The piece was designed to be nice place for one or two people to sit and watch the sunrise in silence, and was oriented to the East for that reason.